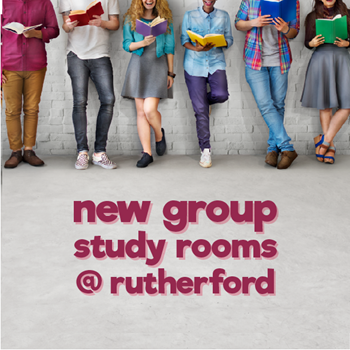 Students returning back from reading week will find that the University of Alberta Libraries has some new spaces available for group study! As of February 21st, several newly bookable spaces are available for students to use. The rooms can be found on the 4th and 5th floors of the Rutherford North building. Rooms are equipped with plugins, table and chairs. Library staff hope these new rooms will allow more students to work in the library on group projects and to study together. Students can book a room for up to 2.5 hours per day with their CCID and password. A 10 minute grace period will be given for all room bookings and occupancy, after which time groups may forfeit their booking to other groups who may be waiting for a space to open. During peak study times, rules may be modified to ensure equitable access. To book a room and find out more, visit the Book Study Space page of our website. Term paper and research project season is here; and with it comes all of the headaches of gathering resources and figuring out how to properly cite them. Fortunately, members of the of UAlberta community have free access to the citation manager RefWorks. Citation managers, like RefWorks, can help eliminate much of the confusion involved in creating properly formatted in-text citations and bibliographies and offer a place to save and share reference data (title, authors and publication information that would be included in an information resource’s reference). RefWorks is accessible anywhere there is a network connection and it is easy to import reference information from a number of databases available through UAlberta Libraries. Using this imported information, RefWorks can configure in-text citations and bibliographies according to the rules of many common style guides (APA, MLA, Chicago, to name a few), allowing users to focus on the content of their projects rather than the nitpicky business of composing citations. Students, faculty and staff at the U of A can sign up for a free RefWorks account by following the instructions on the RefWorks subject guide (make sure to choose the New RefWorks option, as Legacy is scheduled to be decommissioned in 2018). 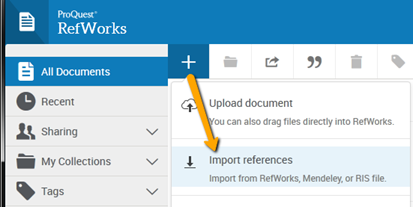 This guide provides instructions on how to get reference data into RefWorks and how to use it to create in-text citations and bibliographies. It also provides information on how to utilize add-ons like Write-n-Cite to link a RefWorks account to Microsoft Word or Google Docs and insert in-text citations directly into documents as they are being written. For those who are fans of video tutorials, there are several YouTube videos that explain how to use RefWorks. New users may find this 20 minute tutorial particularly helpful. And as always, our intrepid library staff is more than happy to help with questions relating to RefWorks. This year, the province of Alberta officially recognized February as Black History Month for the first time. In honour and celebration of Black History Month, University of Alberta Libraries (UAL) is holding an event to showcase and amplify black voices, experiences, and lives. 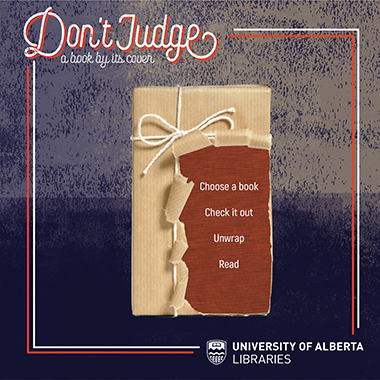 From Monday, Feb. 13 to Friday, Feb. 24 “Don’t Judge a Book by Its Cover” displays will be available at Rutherford, Cameron, and Coutts libraries on North Campus, as well as at Bibliothèque Saint-Jean and Augustana. All books included (over 250!) are either by black writers or about significant people, historical events, or movements. Works by and about black Canadians are also featured. They cover a wide variety of genres, styles, and topics, and include modern works and established classics. Some brand new titles specifically ordered for the event are available! 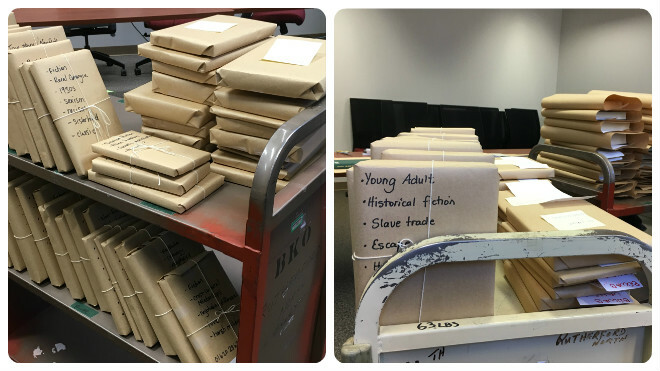 Unlike our typical library displays, you’ll notice that these books are wrapped in brown paper. This is to acknowledge the historic invisibility of black voices and experiences, expose our university community to new stories and perspectives, and encourage readers to explore the diversity of our library collections. Keywords on the wrapping will help you select your book of choice. Once you pick a book, take it to the library’s Service Desk to check it out. Unwrap your selection when you’re ready to read and return it to the library once you’re finished. For those who cannot engage with print material, a list of ebooks and other online sources is available HERE. A list of all books featured in this event will be published after the event has ended. Participate in “Don’t Judge a Book by Its Cover” and you can enter to win three brand new books from the event’s master list! Details on how to enter are available at the displays or you can enter HERE. It’s no secret that fake news is filling up our social media feeds. Many respected news sources aim to provide citizens with the factual information we need to participate in democracy and generate informed opinions on government decisions. 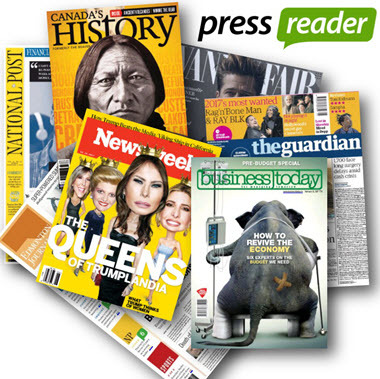 PressReader, a subscription service brought to you by the UAlberta Libraries, gives the university community access to over 5,000 news sources from 100+ countries in 60+ languages. Titles include The Edmonton Journal, The National Post, The Washington Post, Newsweek, and The Guardian. University campus is a HotSpot, which means that university computers and wifi connections allow for access without signing in. If you are offsite, you can login to PressReader through library.ualberta.ca and sign in with your CCID. PressReader’s mobile app (now available for Android as well as Apple, Blackberry, and Microsoft) allows for reading offline from anywhere. You will need to reactivate access every 7 days by going to PressReader via the Libraries website on your reading device. For further instructions and options, check out a handy guide from PressReader. Click here to start using PressReader today! 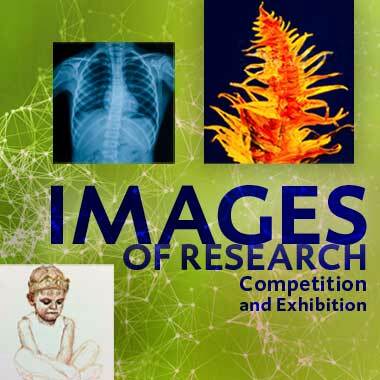 The Images of Research competition deadline has been extended until Monday at 5:00 PM, February 13, 2017. Capitalize on the weekend and create an image that reflects your research. You could win CASH PRIZES! For more information on entry details, visit our webpage. The School of Dentistry is 100 years old! We are celebrating this major milestone with an exhibit at the J.W. Scott Health Sciences Library. 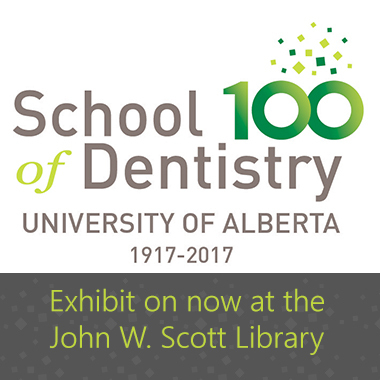 Come and explore the school's history through the evolution of dental tools, publications by faculty members, and students’ achievements that tell the School of Dentistry's story. In 1917, just nine years after the founding of the University of Alberta, the first class of aspiring dental professionals was admitted to the newly established dentistry program. Since then, the school has developed into a world class teaching and research institute, responding to the needs of the community, adapting to the times and tackling each decade’s unique challenges. It also has the distinction of being the first and only university providing dental education in Western Canada for 41 years until 1958. This illuminating exhibit will be on display at the J.W. Scott Health Sciences Library until March 31, 2017.